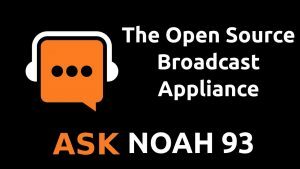 Fred Gleason has worked for years to develop a open source Linux based broadcasting appliance. Rivendell can be used for the acquisition, management, scheduling and playout of audio content. It has all of the features one would expect in a modern, fully-fledged automation system, including support for both PCM and MPEG audio encoding, full voicetracking and log customization as well as support for a wide variety of third party software and hardware. Fred joins us this hour to tell us the story of how Rivendell can make anyone a headache free broadcaster.